Doubles World No. 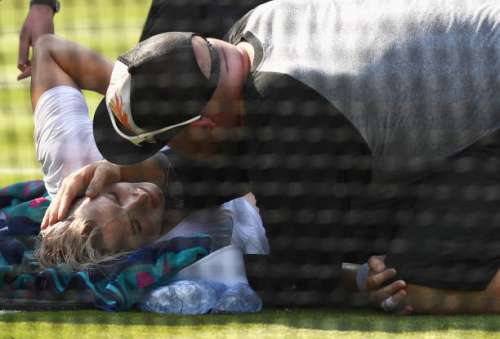 1 Bethanie Mattek-Sands yesterday suffered a horrific knee injury during her Round 2 singles match against Romania’s Sorana Cirstea yesterday. I love you @BMATTEK you are the biggest fighter I know and you will come back stronger than ever ..
Heartbroken for what happened to @BMATTEK today!